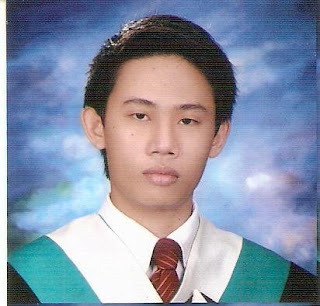 Joe Mari Flores passed the July 2010 Nursing Board Exam and made it to the Top 8. He spent his elementary years in Araneta Learning Center, then studied at San Remigio National High School for his secondary education. He earned his Bachelor's Degree in Nursing at Cebu Normal University. For some, their first priority is to work in Cebu, like 8th placer Joe Mari Abella Flores and 10th placer Razel Mae Nacua Libot of CNU who said said they wanted to serve their fellow Filipinos. “Maybe I would start as volunteer to get experience but eventually I will go abroad. While I want to work here, our labor is not well compensated”, said Flores, 20, of Bogo City.